An exclusive 10-week digital series "SOUTHERN HALO" launched on Aug. 2 across Radio Disney Country digital platforms. 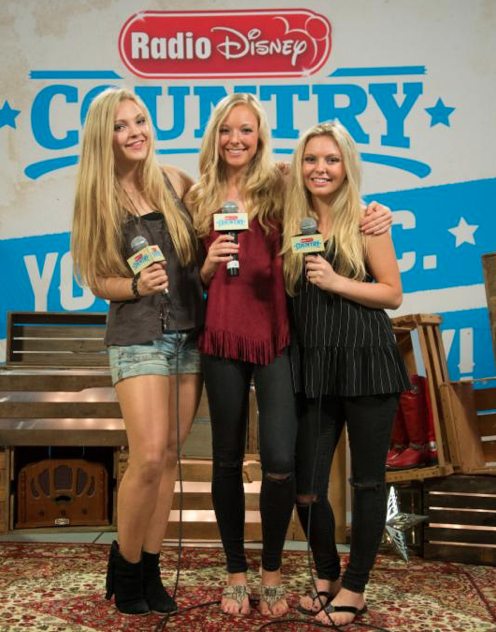 Fans of the cutting-edge Country sibling trio Southern Halo will be able to view Episode 1 on the Radio Disney app, RadioDisneyCountry.com, YouTube, Twitter and Facebook pages. A new episode will be available every Monday at 12 noon PDT. Phil Guerini, Vice President, Music Strategy, Disney Channels Worldwide and General Manager, Radio Disney Networks said, "Having been early supporters of their music, we're excited for our audiences to get to know this talented group even better and are glad to have them as part of the Radio Disney Country family." The series was produced by Nashville's Artist Integration. With their newest single, "Rewind," currently rising on the MusicRow CountryBreakout™Chart (#64) and a well-received debut performance at CMA Music Festival last month, Southern Halo is bringing a new energy - and a new sound to Country. This soulful sister trio hails from the small town of Cleveland, Mississippi and features Natalia, Christina and Hannah Morris. Natalia, 19 years old, is the principal songwriter, guitarist and lead vocalist, while 17-year-old Christina plays drums. Younger sister Hannah, 16, is the group's bassist. Since landing in the National finals of the 2014 Texaco Country Showdown, these Mississippi Delta natives have worked hard honing their craft. They recorded their first EP with Alabama's Jeff Cook, and their fall 2015 CD, SOUTHERN HALO, with SESAC's 2012 Writer of the Year Catt Gravitt (Kelly Clarkson, Jake Owen) and Gerald O'Brien (writer of hits for Martina McBride, Trace Adkins) at the helm. They headlined Sara Evans' Rock The South Festival in Cullman, Alabama, performed at an elite pre-GRAMMY Awards show on the rooftop terrace of the GRAMMY Museum® at LA Live in Los Angeles and launched Townsquare Media's "Say It With Pepsi" Concert Series in Illinois.